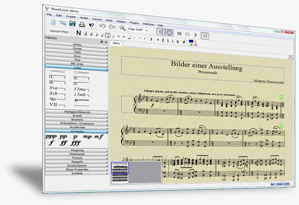 MuseScore is a free cross-platform WYSIWYG music notation program that offers a cost-effective alternative to commercial programs such as Sibelius and Finale. You can print beautifully engraved sheet music or save it as PDF or MIDI file. WYSIWYG, notes are entered on a "virtual note sheet"